Laser skin tightening treatment helps patients to look younger by regeneration and tightening of the collagen under the skin. 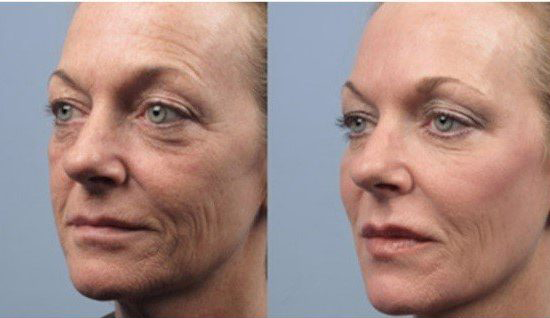 Get the fractional laser skin resurfacing with HALO and BBL Lasers technique. A permanent, long-term result from Laser Skin Tightening & Resurfacing is the regeneration and tightening of the collagen under the skin, which contributes to skin elasticity and vibrancy. Dr. Varma utilizes the state-of-the-art HALO and BBL Lasers which are the best on the market. Utilizing different laser settings, Dr. Varma will customize your treatment depending on your exact skin type. This will maximize your results and give you smooth, healthy, tight skin. The Lasers gently heat deeper layers of collagen while simultaneously cooling the skin’s outer layers. Due to the way it works, this cooling eliminates the abrasiveness that older lasers have. It works for all skin types and treats wrinkles, loose skin, skin spots and pigmentation, and acne scarring. Best of all, this virtually pain-free procedure produces lasting results with minimal risk, discomfort, and downtime.